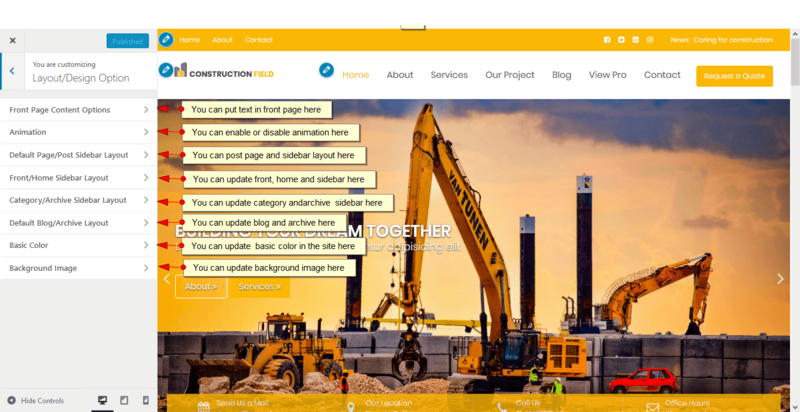 Construction Field is a Fully Responsive Multi-purpose Construction Field WordPress Theme suitable for any Construction Field sites such as for Real Estate. Extract construction-field.zip and upload the folder. One click demo import is available on Construction Field.